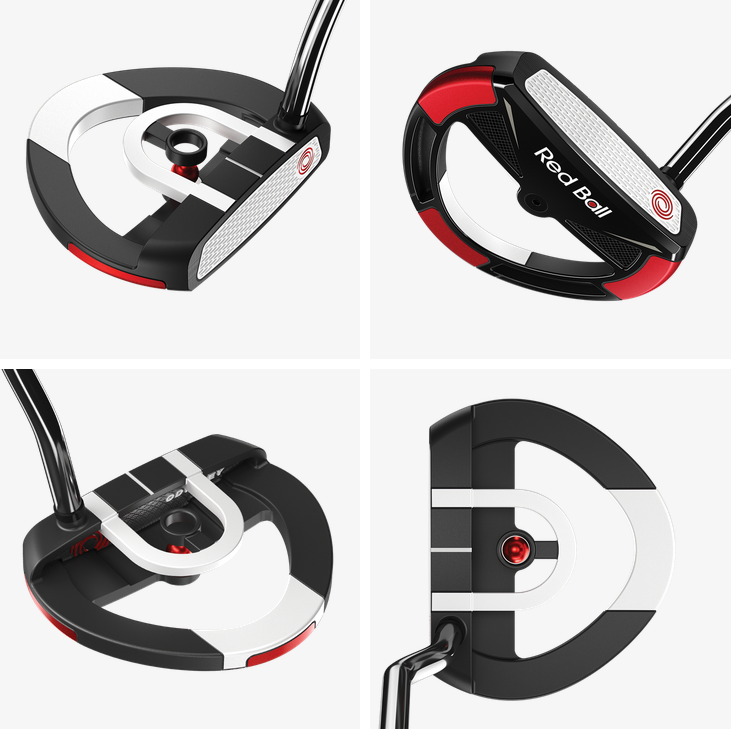 Odyssey built the Red Ball Putters specifically to address and improve on two things: proper set up and proper alignment. Having the right set up and alignment is crucial for any player, and this innovative new design is all about getting you properly positioned over the ball. The distinct Red Ball inside the scope of the putter so that it’s incredibly easy to align the face to the intended start line on every putt. Combined with the black and white framing from our proven Versa high contrast alignment, this forgiving mallet removes the variables in your set up. The White Hot RX insert provides legendary sound, feel, and great roll. To make more putts you have to get the line AND the speed right, and combining Red Ball and Versa with White Hot will help you with that. The mallet design and face balance in the Red Ball takes the weight out of the center of the head and redistribute it into the perimeter of the head. Meaning the putter has more forgiveness and is easier to keep the putter head on line and square through the stroke and impact. (I can not advertise special publicly – but happy to discuss through email). We guarantee to match and / or beat all pricing.